We are one of the most dependable Manufacturers, Exporters and Suppliers of excellent quality Ethernet FL Switches. These Ethernet FL Switches have auto-crossing function. Our Ethernet FL Switches are capable of automatically detecting data with a transmission speed of 10 or 100 mbps. 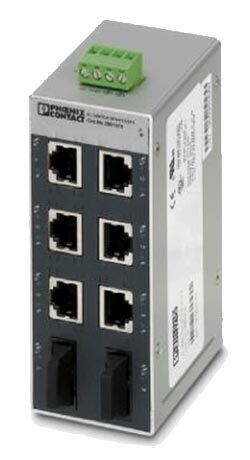 Also, these Ethernet FL Switches feature 6 TP RJ45 ports and 2 FO ports.